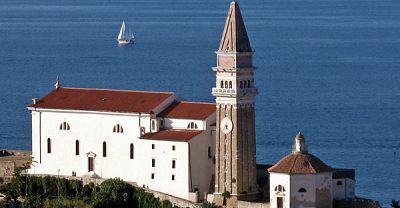 The Cathedral of St. George (Piran Cathedral) sits atop a hill overlooking Piran. 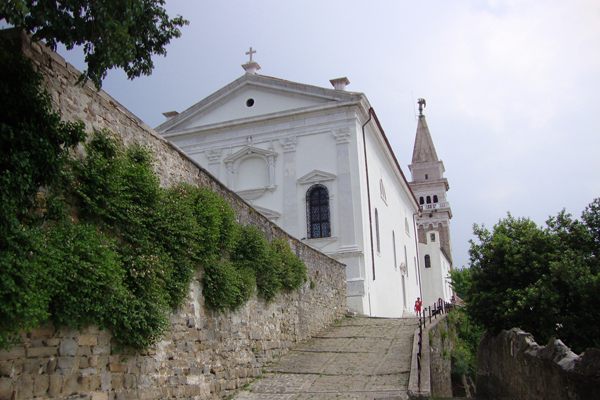 This church replaces one that had previously been built in the 12th century, resting in the same place. 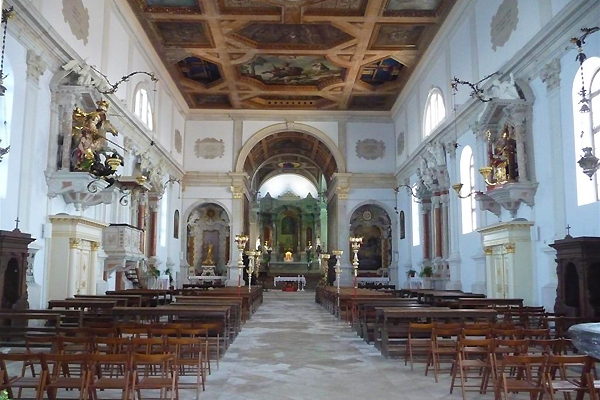 It was the life work of Venetian stonemason Bonfante Torre, finished in 1614. 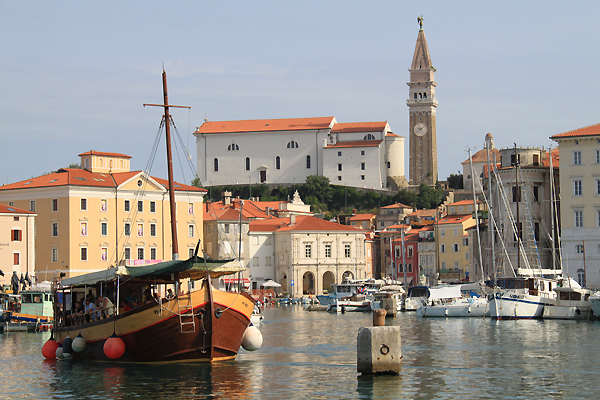 The belltower, a replica of St. Mark's Campanile in Venice was finished a year later. 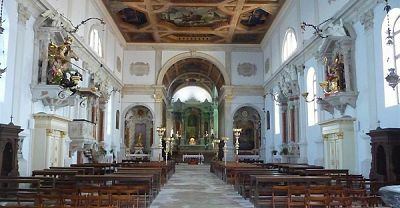 The separate octagonal Baroque baptistery was added in 1650. 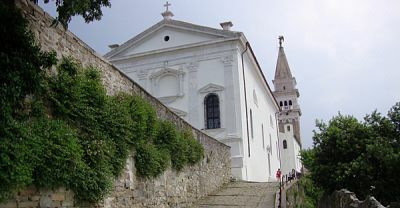 Given the unstable foundations of the hill, several wall enhancements have been undertaken to prevent damage to the buildings. 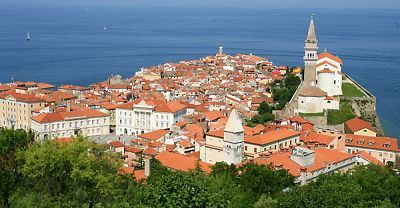 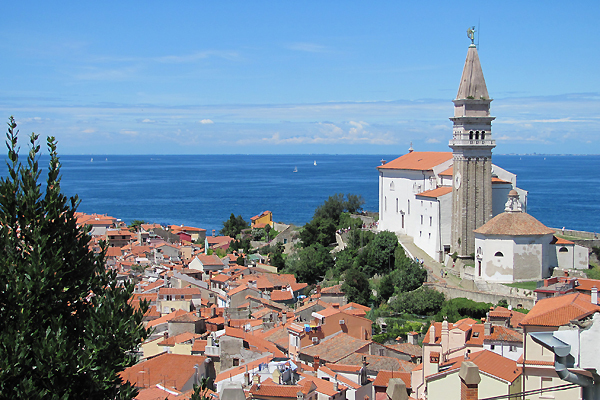 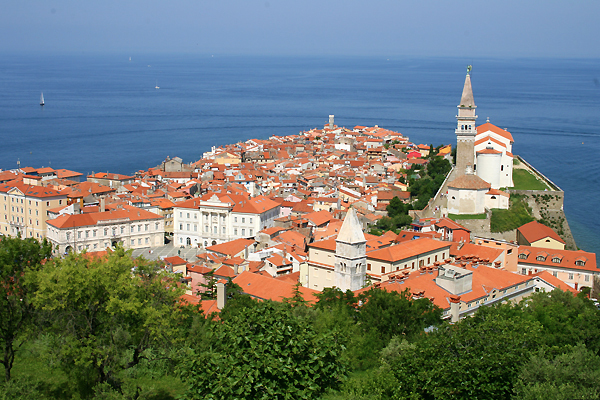 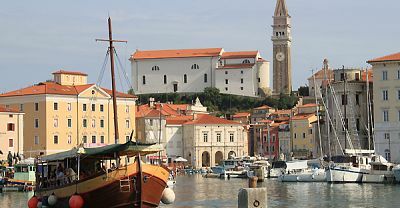 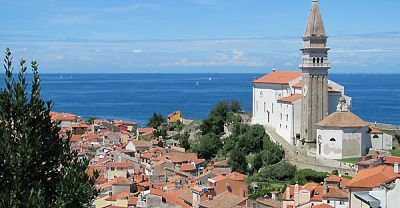 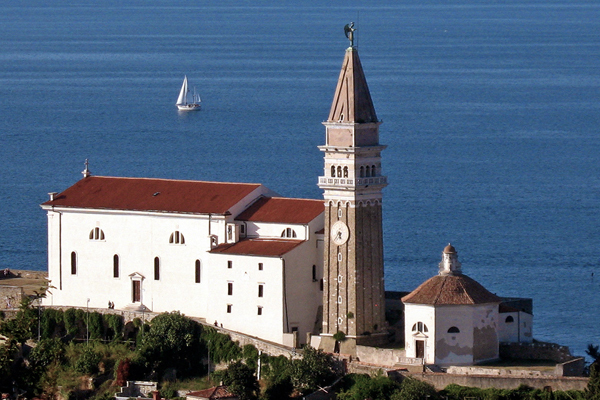 The church is a major tourist attraction and one of the most important landmarks in Piran.